Jeff received his bachelor’s degree from Colorado College, where he studied history and biology. Jeff received his J.D. from the University of Denver, graduating in the top ten percent as a member of the Order of the Coif. While at DU, Jeff served on the University of Denver Law Review, participated in the Student Trial Lawyers Association, and also represented indigent clients in the Criminal Defense Clinic. Following law school, Jeff joined the firm of McAllister Garfield, P.C., a firm specializing in cannabis law, and ultimately rose to lead the firm’s criminal defense division. As of Counsel to The Rodman Law Group, Jeff specializes in all cannabis law matters, including both marijuana and industrial hemp. 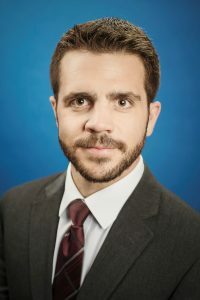 He has assisted numerous clients in successfully obtaining state and local licenses, counseled many businesses and individuals on regulatory compliance, has achieved favorable results for clients in civil litigation, and has successfully defended clients against criminal charges, civil forfeiture actions, and administrative violations alleged by the Colorado Marijuana Enforcement Division and local licensing authorities. In addition, Jeff has counseled multiple caregivers and homegrowers on compliance with state and local laws, and has defended them against violations of their Constitutional rights. He understands the complexities of cannabis-specific science as well as the nuanced mechanisms involved in the cannabis industry. Jeff is admitted to practice law in the state of Colorado and the United States District Court for the District of Colorado. He is a founding member and Co-Vice Chair of the Colorado Bar Association’s Cannabis Law Committee, and is a regular speaker on the topic of cannabis law. Born and raised in Colorado, Jeff spends his time outside of the office cooking, reading, and skiing, hiking, or biking in the mountains.